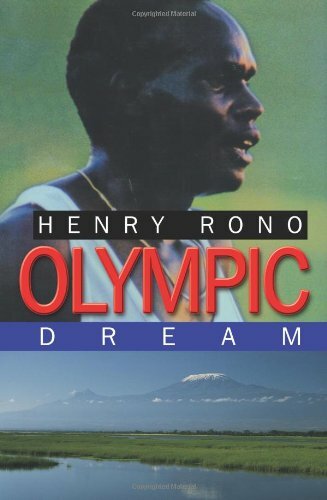 I'm about three quarters through Henry Rono's autobiographical Olympic Dream and shocked. The behavior of the various athletic organizing bodies, the sports promoter, and even his college coach stuns me-which simply means that I am, in fact, a bit naïve. Athletes, as with stars in other prominent endeavors, capture the imagination of those of us who can't run a four minute mile, throw a baseball at 96 mph, or sing our way out of a paper bag. They get placed on pedestals. They also reek of opportunity for the shameless. Sports promoters paid large entry bonuses to get Rono to show up, reinforced by rejecting the rest of his teammates-blocking their chance to make a living- unless he accompanied them. Twice, Rono was not permitted to compete in Olympic events due to politics. In school, he struggled to make a primary school education fit the demands of a major university-while his coach told him that he would 'earn his degree with his feet.' Not much has changed if you look at college athletics. Even now, the University of North Carolina, once a highly respected public university, has admitted that athletes took 'paper classes' where the submission of a single term paper sufficed to pass. Other classes did not require attendance and were predominately populated by athletes. Henry Rono also had an alcohol problem, something that was known early in his racing career in the States. His drinking was encouraged, as stunning as that sounds. I should finish the book this evening and I'm looking forward to the redemptive phase of Rono's life. After a two decade battle with alcoholism, after getting used, abused, and thrown away by a sports complex more interested in profit than athletes, Rono is back on his feet. While getting there, he worked in carwashes and as a sky cap at the airport. This was a man who set four world records in 81 days during a magical summer. Carrying suitcases. He penned and published the autobiography in 2007, after he reassembled his life. Living in New Mexico, he coaches now and if you go to the webpage for Team Rono, you'll see his self-introduction. "I am Henry Rono, the Nandi warrior."